"Cousins of mine Bedie and Alice Shultz." I am ASSUMING that Bedie is a nickname, and it is hard to read Alice's name, so I'm making another guess that is says "Alice." I do not think Alice is spelled correctly, but can't quite determine the spelling. I am ASSUMING these are the daughters of Henry Shultz and Catherine Cyphers. 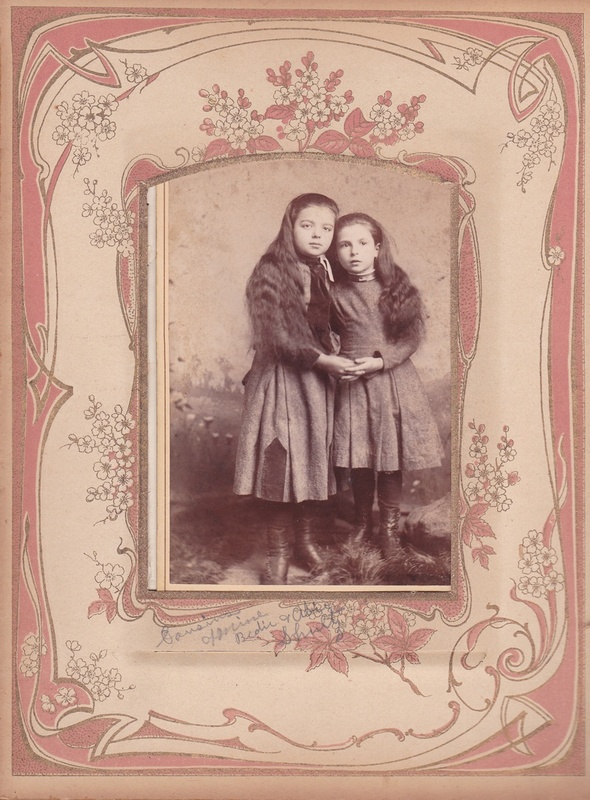 Since they look very close in age, I SUSPECT it is Adaline (Shultz) Kyler (1868-1954) and her sister, Alice (Shultz) Fouse (1865-1959).